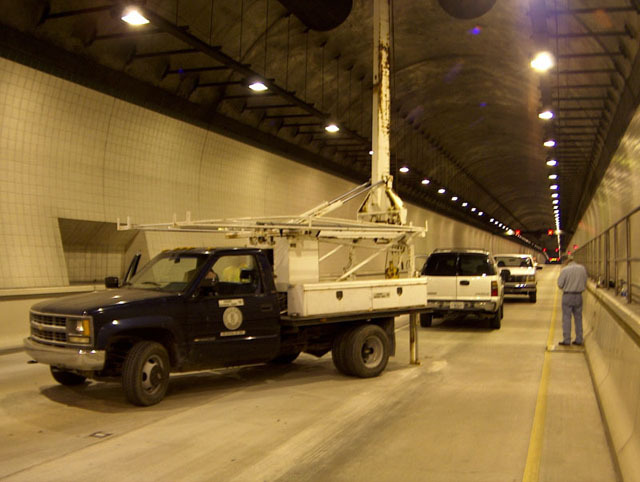 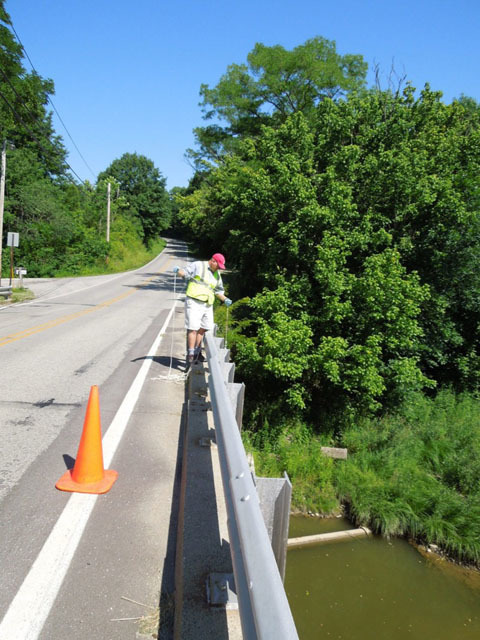 Water Information : General information about water in Kentucky. 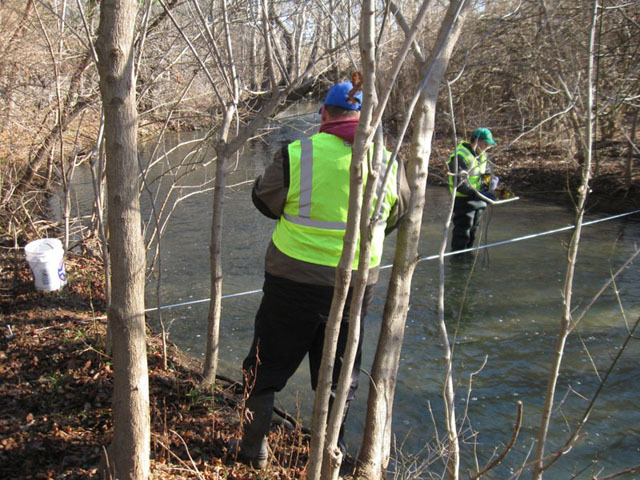 Water Data : Information about data sources for groundwater and surface water in Kentucky. 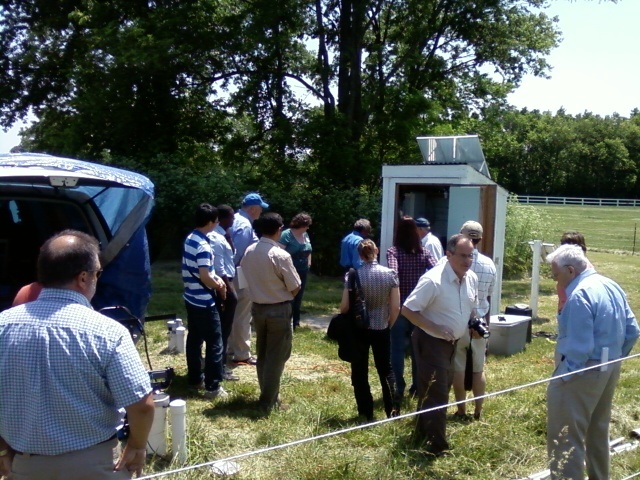 Water Research : Summaries of KGS water research projects, including technical information. 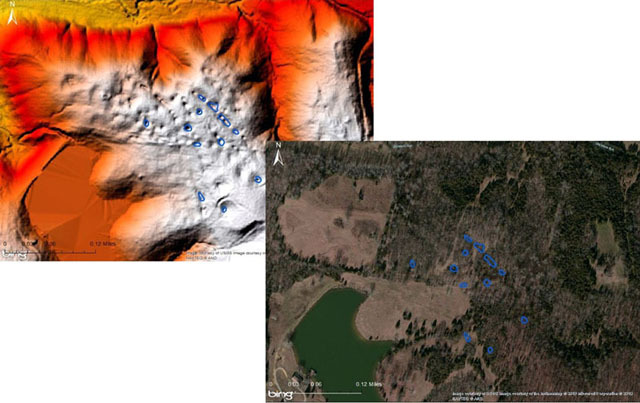 Using LiDar (LIghtDetection And Ranging) to delineate sinkholes in Jefferson and Bullitt Counties, Ky.
Field trip at the Cane Run Karst Experimental Station in the Kentucky Horse Park, Fayette County, Ky. 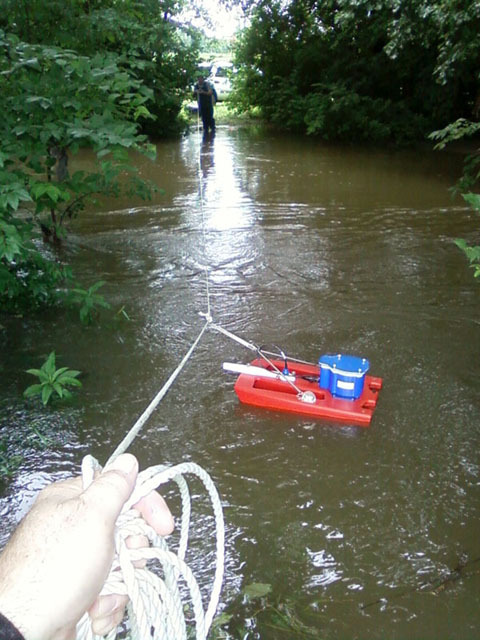 Using a StreamPro© acoustic Doppler sonar current profiler to measure creek discharge during a high-flow event at Cane Run Creek, Kentucky Horse Park. 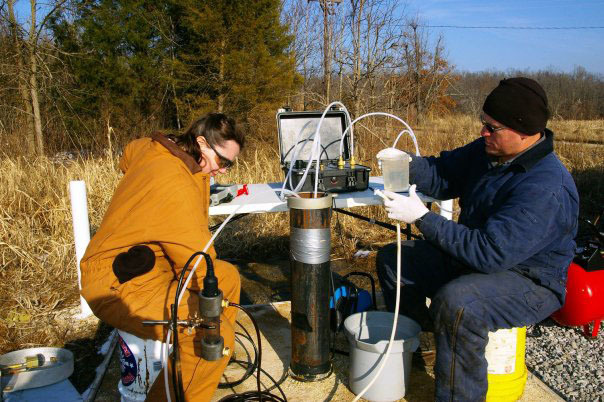 Glynn Beck and Kathy Takacs sample a monitoring well at the Sugar Creek CO2 enhanced oil recovery project site in Hopkins County. 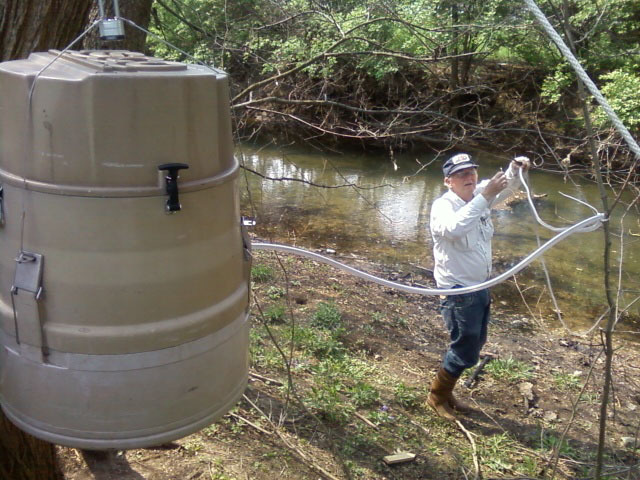 Jim Currens sets up an ISCO© automatic water sampler on Cane Run Creek at the Kentucky Horse Park. 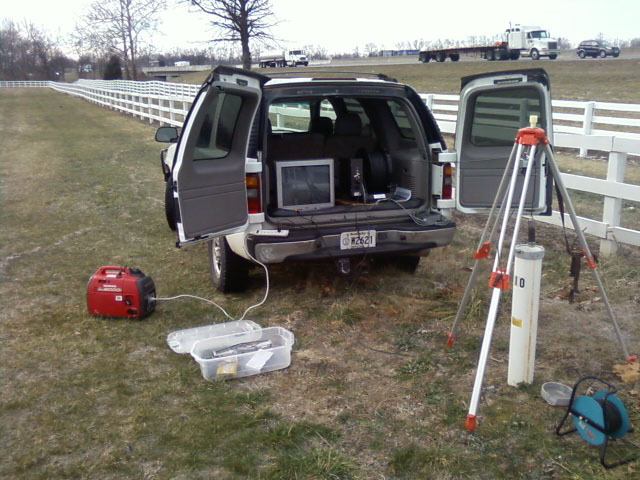 The Water Resouces Section’s Well-Vu© 1,000-foot downhole camera set up over Monitoring Well 10 at the Kentucky Horse Park. 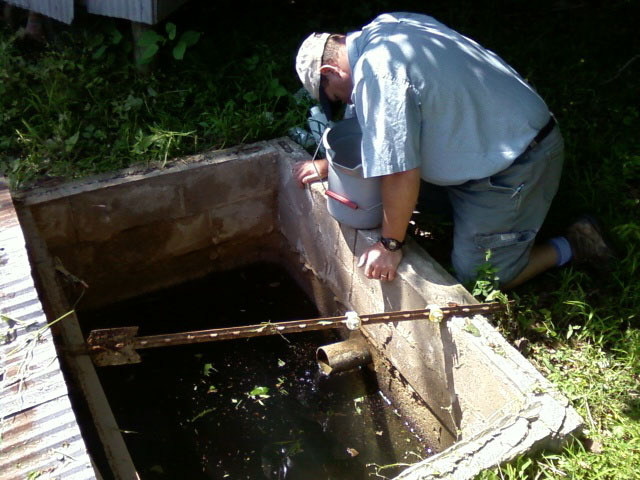 Glynn Beck preparing to sample a domestic spring in Breckinridge County. 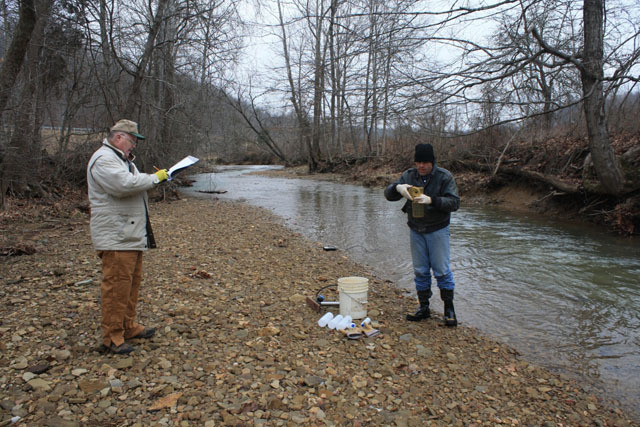 Steve Webb and Bart Davidson taking a sample from Grassy Creek in Carter County prior to installation of the Carter County Test Well. 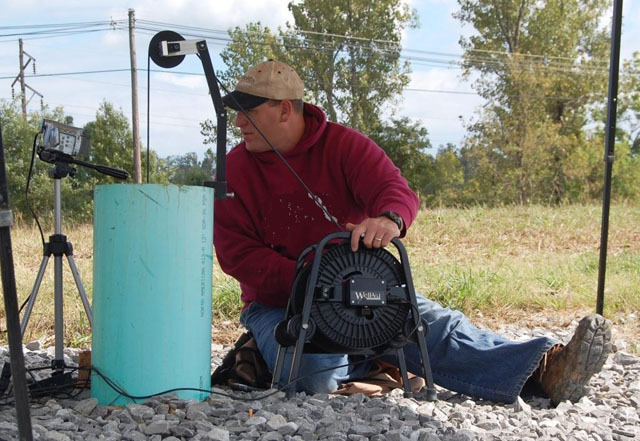 Glynn Beck uses the down-hole camera to investigate an abandoned water well drilled into the Lucile fluorspar mine in Marion, Kentucky. 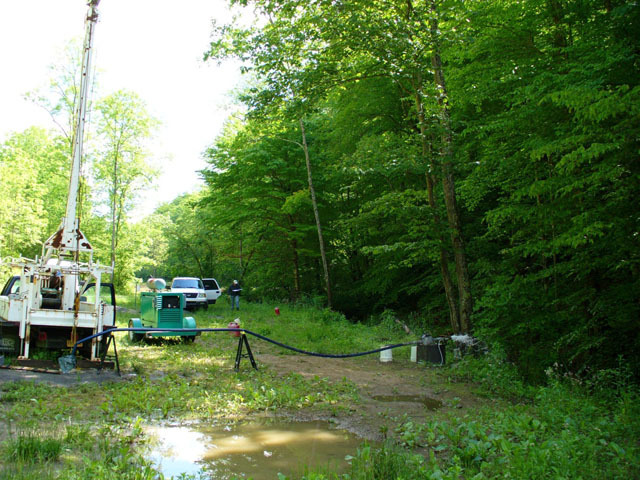 Aquifer test using domestic water well in Salyersville, Magoffin County, Ky.
Last modified September 10, 2018 .